Dieter is passionate about people achieving results by realising and harnessing their potential. With an extensive background in leadership, organisational development and change management, Dieter facilitates individuals and teams who want to transform their life and make a significant and lasting impact in their world. Dieter Weinand is an Executive Coach with over 30 years experience, specialising in leadership and organisational development as well as facilitating change during major social and economic transformation. Dieter’s passion for working with Halftime came when he was introduced to John Sikkema, and realising the power of moving from Success 2Significance. His motto for his work with leaders is: “achieving results by realising potential” and therefore becoming not only more successful but also more significant. Dieter’s dedication for learning and development motivates the individual and the organisation to be more solution-focused and committed to continuous improvement. His facilitation style challenges the personal comfort zone. He began his training career with Scripture Union (South Africa), working with young people who were facing major change – personally, socially and politically. 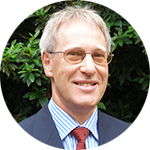 While working with BMW (SA), Dieter was responsible for HR and management training and development. He then established and led a consulting practice specialising in change management, leadership training and organisation development. Dieter with his wife and three children moved to Australia in 2000 and since establishing his home and career here, he has specialised in executive coaching, leadership development and mentoring – working with both private and public sector organisations. Besides consulting, delivering and facilitating a whole range of leadership skills, Dieter has also managed and mentored a large specialist team of learning and development consultants for a large training company.